Anyone who lives in Tontitown or the surrounding Northwest Arkansas communities can count on JC Plumbing for all their plumbing needs. Since 2002, we have been offering reliable plumbing services and exceptional customer service to the area. JC plumbing has a team of experienced plumbers who are always professional and competent in their duties. Whatever your plumbing needs may be, you can expect honest pricing, prompt and efficient services. With 24/7 service available, JC Plumbing is always ready to respond to service requests both day and night. There is always a team member on standby at all times to answer to emergency calls. JC Plumbing offers a broad range of services. This includes; leak detection and repair, gas leak repairs, drain cleaning, bathroom and kitchen remodeling, and appliance repair among others. When your water heater develops a problem, or your toilet gets backed up, you can call JC Plumbing whether it’s during the day or at night. You can even call on weekends; there will always be a team of highly-qualified plumbers waiting to respond to your call. JC Plumbing is a top-rated company in the Northwest Arkansas region. Our company has been screened and approved by HomeAdvisor. They have hundreds of positive reviews from satisfied homeowners in the area as well as a high rating. With nearly two decades of experience in the industry, you can expect JC Plumbing technicians to offer reliable services and meet all your expectations. You can expect honest pricing and great offers on different types of services, such as drain cleaning. Be sure to check the firm’s website on a regular basis to ensure you do not miss out on a great offer. 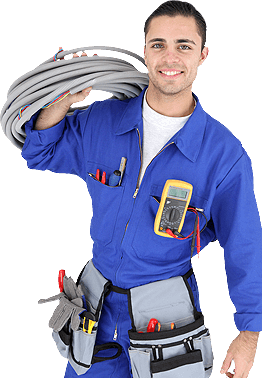 When it comes to emergencies, JC Plumbing promises to be at your doorstep within 60 minutes, or you get a free service.